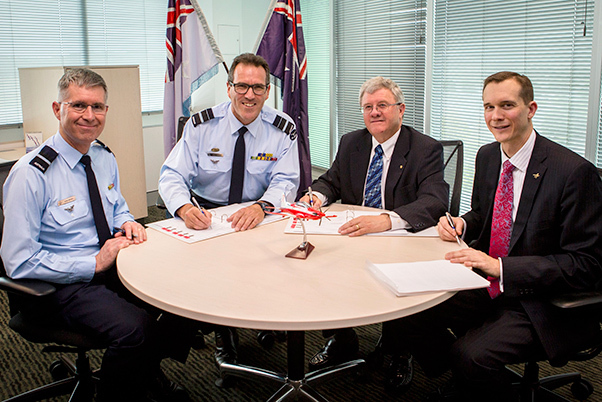 Air Commodore Adam Brown, Air Vice-Marshal Leigh Gordon, AM, CSM and Lockheed Martin Australia representatives, Raydon Gates and Jon Rambeau sign the Pilot Training System contract at Brindabella Business Park. The Australian Department of Defence has awarded the AIR 5428 Pilot Training System contract to Lockheed Martin-led Team 21 to train the next generation of Australian Defence Force pilots. The initial seven year program is valued at AU$1.2 billion. Performance-based options for up to 25 years will provide the opportunity to extend the length and increase the value of the total contract. Lockheed Martin will lead the delivery of an integrated solution tailored for all future pilots for the Royal Australian Air Force, Royal Australian Navy and the Australian Army. As prime contractor, Lockheed Martin will provide overall project management for the pilot training system and deliver a family of integrated ground-based training technologies. “Our approach will be tailored to the particular needs of Australia’s future defense requirements and will leverage proven turn-key training capabilities from Lockheed Martin, as well as those of our partners – Pilatus Aircraft and Hawker Pacific,“ said Raydon Gates, Chief Executive, Lockheed Martin Australia and New Zealand. Pilatus Aircraft will provide PC-21 turboprop training aircraft and through-life engineering and airworthiness support. Hawker Pacific will provide maintenance services and fleet support and leverage its established supply chain in Australia. 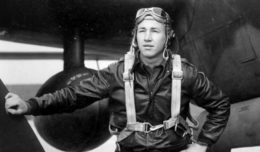 With this selection, Australia joins Singapore in employing Lockheed Martin-led integrated turn-key training solutions. As a performance-based system, turn-key training provides increased pilot competency, shorter training times and lower training cost. Team 21 is in the ninth year of a 20-year performance-based flight training contract to provide the Basic Wings Course to the Republic of Singapore Air Force, at Royal Australian Air Force Base Pearce in Western Australia.